"What I Told My Daughter When we Dropped Her Off For College"
If you want to see your life with Jesus deepen and focus, you have a tremendous opportunity before you right now. 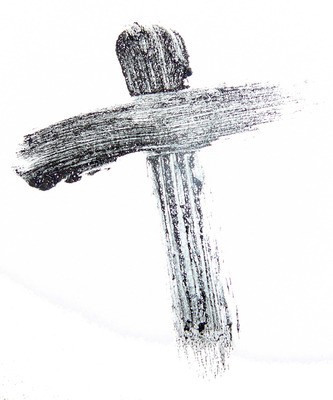 Ash Wednesday is an invitation to leave where you are spiritually, and venture into new territory with Jesus. Today marks the first day of Lent, about 40 days leading up to Easter. It reminds us of the forty days Jesus resisted temptation in the wilderness, and the forty years Israel wandered in the desert. It’s a time to get right with God. What’s up with the ashes? 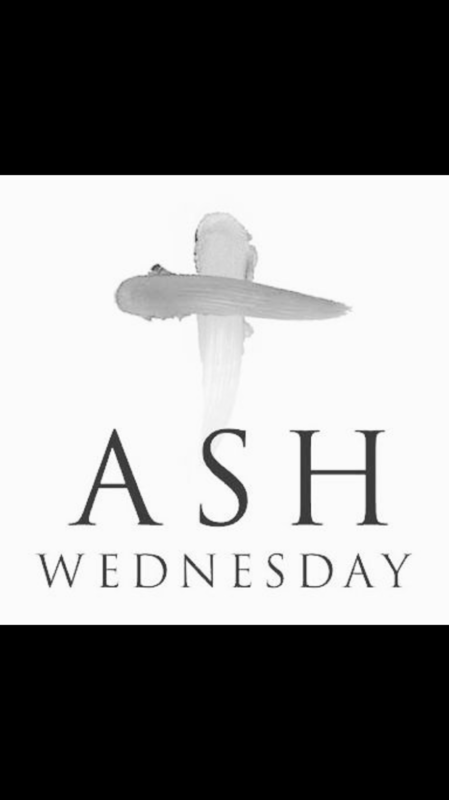 Today we remember, “All go to the same place; all come from dust, and to dust all return.” (Ecclesiastes 3:20). Fortunately God remembers we are dusty, earthly creatures: “for he knows how we are formed, he remembers that we are dust.” (Psalm 104:14). We are small, finite, weak, dirt clods with breath. But my mortality is swallowed up in victory, through Jesus: “For as in Adam all die, so in Christ all will be made alive.” (1 Corinthians 15:22). What incredible hope! Ashes go back to the Old Testament times when people like Job would wear them as a way of mourning, crying out to God, or turning back toward God (Job 42:5-6). Do you feel ready to do any of those things today? Christ followers have an invitation to turn away from sin and be faithful to Jesus. To renounce whatever idol or love or distraction or false hope is drawing you away from surrendered trust in Jesus as Lord and Savior. You can set the record straight in your own heart and with Jesus, declaring that you are done fooling around, and that you DO need him, you DO want him, and WILL obey him in all things because you know he loves you. Do you want to do any of those things today? We all need moments of recalibration. To get our lives focused on God again. Maybe you will use this moment to do that. Ash Wednesday and Lent isn’t just a silly religious obligation. It isn’t just for Catholics. It’s an invitation and opportunity for you to draw near to Jesus. This is a choice a person makes to say NO to something we want or like or need, in order to alert our senses to our greater need and love for Jesus. Giving up something can help trigger our minds toward God. Jesus doesn’t ask us to give up candy or caffeine; he asks us to surrender our lives. But fasting from certain items – technology, food items, soda, negative talk, or even candy and caffeine — can remind us that we can’t be fulfilled by ourselves or fill our holy longings with anything but Jesus. Scripture guided prayer should mark our lives. Come as a needy, hungry (literally?!) sinner who longs for God’s healing and wholeness. Instead of coming up with your own words, what if you used only Psalm 51 for the next 40 days for your prayer? Service for the less fortunate. Historically, Christians have felt moved in this time toward “almsgiving” — doing the ministry of Jesus by sharing love and resources with those who need it. This can include the poor or any of the “least of these.” We can be especially aware of the outsider as God’s Spirit opens our eyes to see and care. We can pay attention to one who is marginalized, anyone who is suffering or experiencing hardship. There is no shortage of people who feel these things these days. Think more about them and do something. The inner work of Jesus will always lead to the outward expression of ministry that looks like him. Let today be a gentle but strong invitation from Jesus himself to go on a journey. Over the next 40 days, between now and Easter, be willing to go to some place new. The path there is paved with fasting, prayer and service.